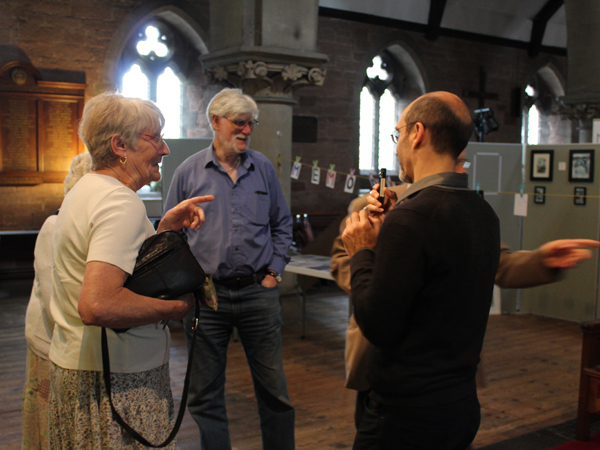 Our second year of action research has been rich in collaborations and provided us with fascinating insights into community leadership and design innovation in enhancing historic places of worship. We are grateful to the many communities and professionals who have engaged with the project to date. 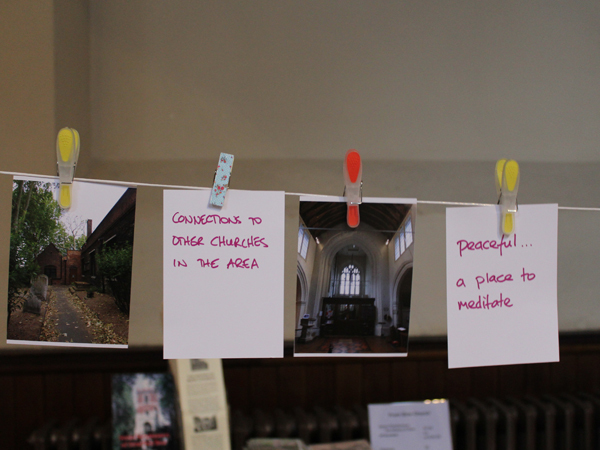 In this strand of the project, we set out to learn from successful examples of community-led initiatives to transform historic places of worship. We've organised workshops with a number of groups to explore their spaces and understand their design journeys and how they engaged with their wider communities during the process. You can read more about some of these visits on our blog. In 2017, we will continue this strand of research and share learning and resources drawn from these projects and other exemplars we've encountered. and see it again through new eyes." 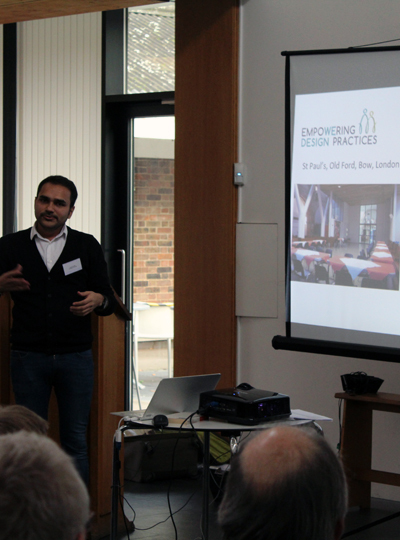 A core element of the Empowering Design Practices (EDP) project is to develop and evaluate ways to support the guardians of historic places of worship who are embarking on a project to adapt or restore their building, and who wish to engage their faith community and the wider community in this process. Working with live projects, we are co-designing new practices and providing hands-on support to communities to help them lead projects to improve their buildings. ISRAAC, Sheffield - a Somali cultural and community association based in a vestry hall in the Sharrow area of Sheffield. Bow Church, east London - a church which has stood in the middle of a highway, and a community, for 700 years. St. John's United Reformed Church (formerly St John the Evangelist) in Stourbridge - a 19th century church by Victorian architect G.E Street. St. Peter's Church on Eastgate Street in the centre of Chester - which stands on the site of part of the Roman Praetorium. 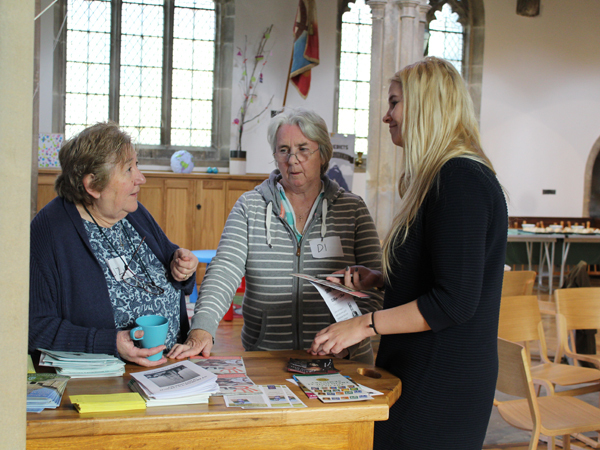 We've also worked with a number of other places of worship including St. Swithun's in Worcester, Newlyn Trinity Methodist Church in Cornwall, and St. Helena's on the island of Lundy. 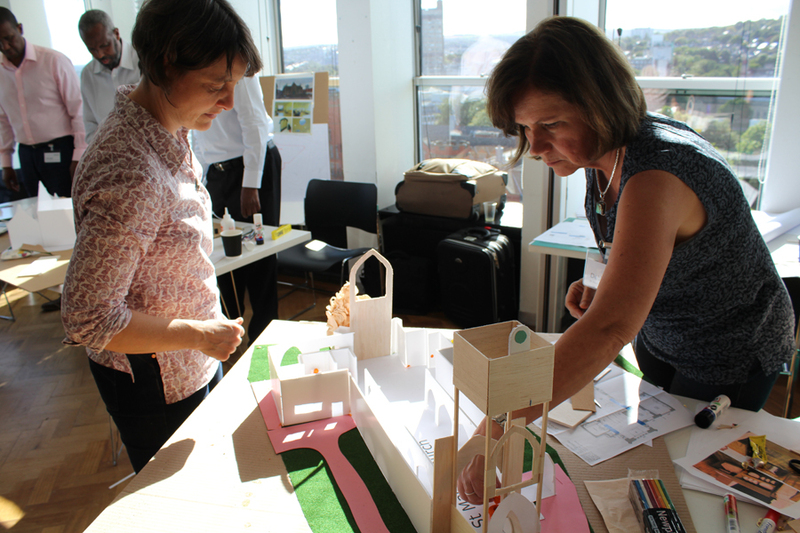 In September, we invited three community-based groups to take part in a design training course (based on The Glass-House's Buildings by Design course). The course aimed to help them build skills and confidence in design, and to do some practical work exploring how design could help them make the most of the specific buildings they manage. At the end of two intensive days, the groups felt buoyed by the qualities of their buildings and the potential they can see in them. and challenges and the enthusiasm for their projects." In collaboration with EDP project partner, Live Works, Masters architecture students from the University of Sheffield spent six weeks (September to October) working with three projects that have been supported by EDP - ISRAAC in Sheffield, St Peter's Church, Chester and St Peter's Church in Congleton. Live Projects is an educational initiative at the University of Sheffield's School of Architecture where masters students work with community clients in real time, with real budgets, on socially-engaged projects. 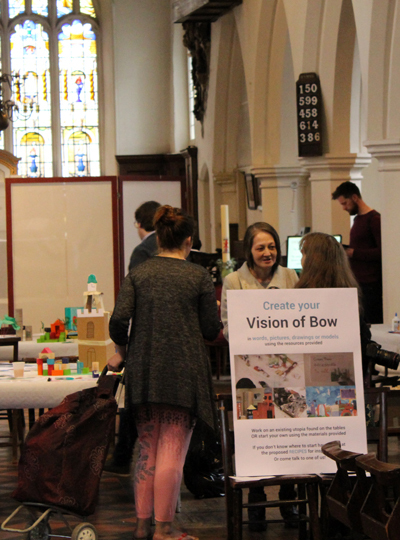 As part of the AHRC's Utopian-themed 2016 Connected Communities Festival, we received funding to support a small, community-based, collaborative project in Bow, east London with EDP participants, Bow Church, and other local organisations, including Bow Arts and Poplar HARCA. 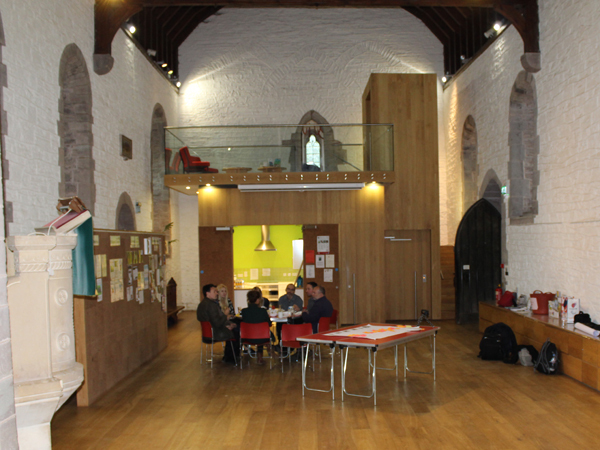 Prototyping Utopias was all about creating spaces for people to dream about better places through creative thinking and local action, and it helped Bow Church to reflect on how their space could be used for a wide range of community and creative activities. We shared some of the outputs from the project, including a specially-commissioned film, at the Utopia Fair held at Somerset House from 24-26 June 2016. We are actively sharing our research and learning in a variety of contexts - in the research and design fields, to communities leading projects, as well as with organisations and networks providing supporting and advice. In February, we delivered a hands-on workshop on asset mapping for the Prince's Regeneration Trust's BRICK event in Bolton. EDP is partnering with the Baroness Warsi Foundation for a debate that will explore how places of worship can be shared for different activities, people and faiths. The debate will take place on Friday, 25th November at 3pm at the University of Liverpool, featuring a panel of esteemed speakers, including Sophia de Sousa, EDP partner and Chief Executive of The Glass-House. All welcome, registration is free. More than Bricks and Stones: unlocking the potential of heritage, 24th November, at St. Clement's Church, London. 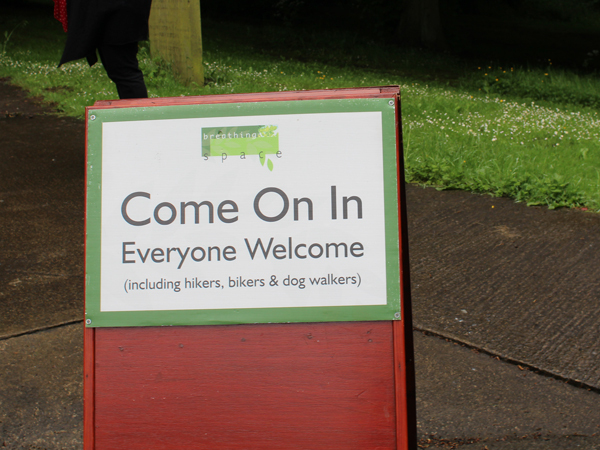 Organised by the National Churches Trust. Historic Religious Buildings Alliance's Big Update, 30th November, at St. Alban's Centre, Holborn. Get in touch if you would like to suggest historic places of worship to learn from or live projects to support, or if you want to share your expertise or learning. You can contact us via the project website, email empoweringdesign@gmail.com or find us on Twitter. 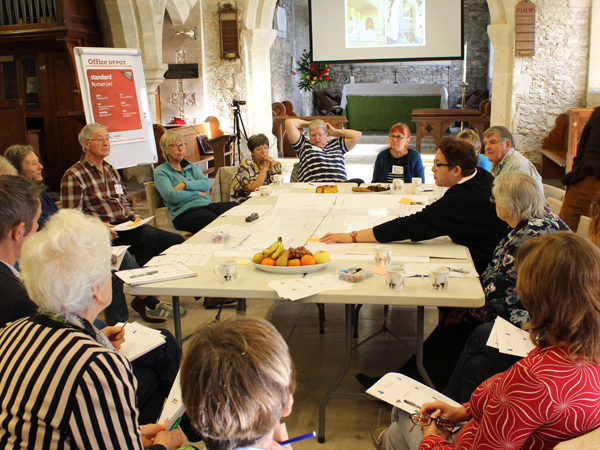 Empowering Design Practices: historic places of worship as catalysts for connecting communities is a five-year £1.5m research project funded by the Arts and Humanities Research Council under the Connected Communities and Design highlight notice. It is a collaborative partnership between three Open University faculties (Maths, Computing and Technology, Arts, and the Institute of Educational Technology), The Glass-House Community Led Design, Historic England, Heritage Lottery Fund and the Historic Religious Buildings Alliance. Additional professional support is provided by Wright and Wright Architects, Live Works and heritage consultant Becky Payne. Copyright © 2016 Open University, All rights reserved.